Die Sendung “Revealed” auf CNN International gibt in diesem Monat Einblicke in das Leben von Shaun White. Eine ganze Stunde lang berichtet der internationale Nachrichtensender über das Ausnahmetalent, das im Alter von 13 Jahren in den Profisport einstieg und mit 23 Jahren bereits das zweite Mal olympisches Gold gewann. CNN International begleitete Shaun White zum Air and Style nach Peking. Darüber hinaus zeigt die Sendung, wie der Burton-Pro versucht, den Spagat zwischen Sport und Business zu meistern und wie er die chinesische Kultur erlebt. It’s usually the first time you won something that makes it the most special moment, like the first time I won X games, I won two golds at the same time for jumps and then half-pipe which is what you see at the Olympics. And I just remember like I don’t know it’s such an achievement because I got two silvers the year before and at that moment I got the two silvers I’m like ‘I’m coming back and I’m going to win the gold next time and it happened and it was like that goal was achieved and it was a good feeling for me and I didn’t make the Olympics when I was 15 by 3/10th of a point so it was like ‘should he go? No, not yet’. I remember coming back and winning that when I was 19 and it was the best thing ever. A lot of people want to compare this time around to last time in Vancouver versus Torino and it doesn’t compare, it’s like one of those things that I definitely felt I was almost able to relive one of the best days ever all over again but in a whole different way of meaning. I think a lot of people saw that runaway ‘that’s so easy for you’ so we went ahead and looped together a video clip of all the crashes that took to finally get to that point, to land those tricks but yeah, it’s definitely you put in the work, you put in the time you get your mind-set you get your team around you and you do amazing things. What is it like to break your own record? It’s funny to see how far you can come within a couple of years and I always think that that sort of trail you leave of victories and people’s expectations for what’s to come, that’s something that really drives you. I mean I was sitting down a year before the Olympics, this time around and I was surfing with a friend of mine and he was like ‘are you ready’ and at that moment I knew that no matter how much I tried to turn back time or pretend like it wasn’t coming I knew that at some moment I would be standing there with all these people ready to show what I’m made of. For me it’s been my life in that sense. You set yourself a goal, you work as hard as you can towards that, don’t even blink, just keep on it you’ll get there. So you have a brand sponsoring you, but now you are a brand of your own – Shaun White. How would you characterise your brand? I don’t know. I don’t like to frame it as a brand as such. All the products I endorse, all the sponsorships and partnerships I have. It’s been great. It’s something like has come about from the very beginning. I have some success and they back me up. I got encourage from that and I do better and then they support me. I can go to company like Red Bull – Look, I want to do this amazing project in the middle of nowhere, build this half-pipe. They just like – it sounds awesome and let’s do it. In any means, you need that kind of support. And definitely the partnerships, I mean, I can see right now I have the least amount of sponsors I ever had in my whole career. And that’s such an amazing thing because there are just deeper relationships. Tell me about China. Was it a business opportunity? Was it for fun? I am sure it’s a mixture of both. I know my group won’t let me go anywhere unless there’s some extra cool motivational thing going on – cool opportunities to explore. But I thought China was amazing. I had never been there. It was my first time. I am a big fan of Chinese food. Our Chinese food is way different from the real Chinese food. You would think at least I did think before I got there it was a culture based on – we need this, this is how it has to be, very strict because you heard about the government, what’s going on and different things. I try to stay up-to-dated as much as I can but you know you hear all these different things. You get there and you realize that wow it’s not the big bad thing that was made out to be in that sense. They are not there trying to push a message on you that’s the wrong message. And then I realize that they want bigger and bad things I guess which drive people to be great. That’s amazing. I like that. I understand that. I felt very comfortable and welcomed. It was a completely different experience I had anywhere else. I enjoyed it. Talk to me about the two operations you had when you were younger? If you have something dramatic like that happening to you at that age it puts something in you, I guess a lust for life, you’re fighting to survive at that young age it puts a little fight in you at least that’s what I’ve heard from my doctor! He’s like man – I’ve worked with so many kids and all of them are doing these extra ordinary things – which is cool – it’s one of those messages of don’t give up and don’t ever let people or things or your own mind tell you what you can’t do. 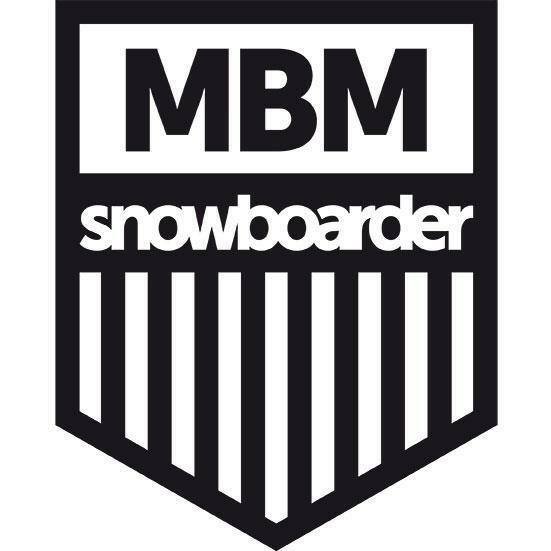 What is your snowboarding style/technique? I like to think of it as interpretive dance gone wrong, you know what I mean? Technical term! But really. No my style? That’s like trying to describe the pitch of your own voice….I try to do the tricks in such a way that it feels effortless and I feel that if I accomplish that then it’s a true mastery of that trick. I’ll have great tricks that I can land but they don’t look right, they don’t look cool enough to do in the competition so I’ll hold on until it’s ready to be shown. So as we speak there are tricks that I could probably go right now that have never been done before but I don’t want to do it until it’s ready. You don’t want to be the guy doing different things. If you look at my run from the Olympics I did this double flip 1080, double flip 1080, but I did a 5 40 – it’s a very small spin compared to a 1080, degrees of rotation, so you know 360 is a full circle and you keep adding it up obviously but I did a 5 40 because it was a stylish trick and it looked cool and I knew it was a signature trick for me that I do all the time and it was a cool stylish move instead of flipping till I hit the ground. It isn’t gymnastics you don’t spin till you hit the snow there’s a fun aspect and whenever I can mix in very technical tricks with something that’s signature style – that usually get’s me the best score. So Shaun White is going down the history books. What do you want to say? What do you want to be remembered as? I want to feel countable, claiming what I brought now, because I just feel like… at this point of my career, it’s so much started. I really feel I have gained enough wisdom, enough confidence to actually stand on my own feet – this is what I want to do with my life and this is my path. I am sure I just want to be remembered as someone that doesn’t really held by the same boundaries as others. If you can write a history book, what’s your prediction for the future? Where are you going to take it next in the sport? With the sport, what do you want to do? What’s your next step from here? The best move maybe another Olympics trophy in my future. There are talks even skate boarding making to the Olympics. I am probably the first to do it. 2016, maybe Rio for skate boarding. What about if you had to choose between skate boarding and snowboarding? Yes, to be honest, I feel like if I did skating, I would have quitted snowboard a long time ago. Just because it would become boring for me, it would become the same old thing. And I found that when I am skateboarding, I want to go snowboarding. Is that how you are planning to get on the skateboarding too, professionally? It was definitely the dream come true when I won the Winter X Game and then the summer X game. It’s really the summit of the all time goal of mine to be the same level of success and the abilities in each sport. That was really cool! You are 24 and it’s a lot of time people at your age just dream of what they want to do. What’s the next challenge? Do you feel challenge? I have never really looked back. But I feel like you know for the future there are so many things I can do. I do so many things besides just snowboarder. That’s really balances up my life I feel. I said this a lot when I was in China. But sometimes the best thing for my snowboarding is not to snowboard. It makes me love it again. It makes me want to be on the hill, it makes me want to learn new tricks and hang out with those friends that I miss. It definitely brings back that old feelings which originally got me into the sport in the first places, the enjoyment I have.